In this episode of Group Answers, Brian and Chris sit down with Daniel Darling to talk about the concept of human dignity. Daniel Darling is the Vice President for Communications for the Ethics and Religious Liberty Commission of the Southern Baptist Convention (ERLC). Dan is the author of several books, including Teen People of the Bible, Crash Course, iFaith, Real, Activist Faith, The Original Jesus, and his most recent book, The Dignity Revolution. He is a contributing editor to Christianity Today’s CT Pastors, a columnist for Homelife, and a regular contributor to In Touch Magazine. He also writes regularly for several leading evangelical publications, including The Gospel Coalition. Dan speaks and preaches around the country and is regularly interviewed on television and radio. He is the host of a weekly podcast, The Way Home. Dan has served churches in Illinois and Tennessee. He and his wife Angela have four children and reside in the Nashville area. They attend Green Hill Church in Mt. Juliet, Tennessee, where Dan serves as Pastor of Teaching and Discipleship. What motivated you to write Dignity Revolution? What does it mean to be pro-life? What makes the Bible’s vision for human dignity so distinct? What are some ways churches and small group leaders can model this idea of human dignity? Why is it so important that we understand this concept? How do we teach this in our groups? I have been fascinated with how the Bible describes what it means to be human. More care and deliberation was put into the creation of humans than anything else. Human dignity is one of the best gifts Christianity gives to the world. Christians need to think well about issues in the world. For 50 years, the pro-life movement has been saying that the most defenseless among us are human beings. Was does it mean to apply pro-life to other issues? What if we saw immigrants and people we disagree with online as image bearers of God? 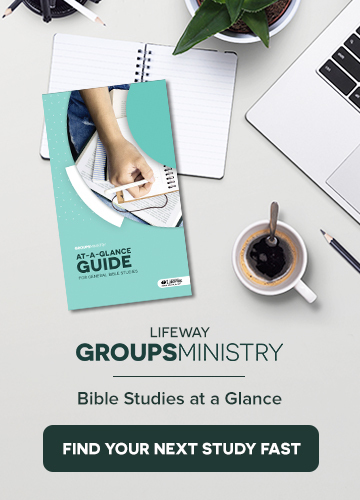 The Group Answers Podcast is a weekly show designed to resource, train, and encourage small group leaders. Each episode considers current trends and resources as well as timeless truths and methods of discipleship. It is hosted by Brian Daniel, a Bible study and discipleship expert in LifeWay’s Groups Ministry, and Chris Surratt, the small group and discipleship specialist at LifeWay and author of Small Groups for the Rest of Us.